Tom shares his passion for free running. How long have you been free running? 7 to 8 years although I’ve really been doing it all my life, even when I was little I was jumping over fences. I really got into it when I saw David Belle, a French free runner in District 13. I started going to the free running club in the local school and have been doing it ever since. My dream is to become a free running instructor. 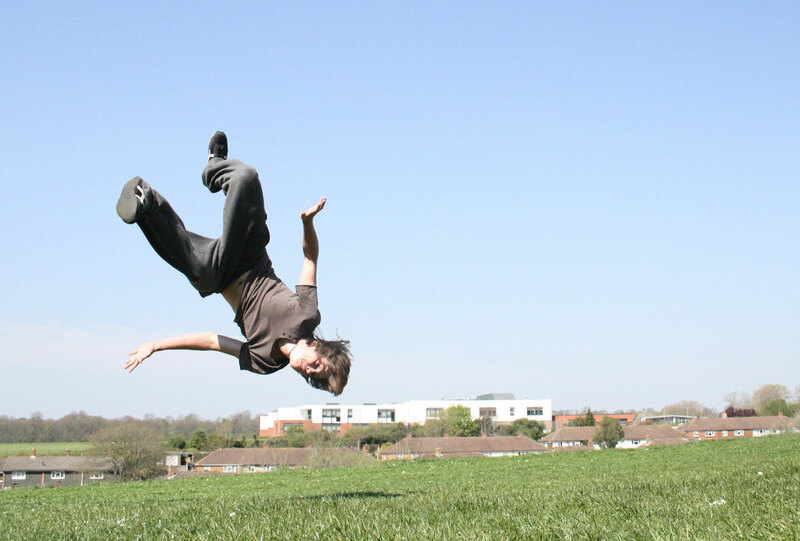 What skills do you need to be good at free running? Determination, self-reliance and independence. You really need to be disciplined to do it. Without it you will go nowhere. You need the determination to keep going even when you hurt yourself, most people stop after the first break. I want to inspire people to do something with their lives. If you’d asked me a few years ago if I could get to where I am now, then I wouldn’t have believed you. If I can do this, then you can do something. The discrimination you can get when you do it outside. People think you are damaging property or a threat to others. If they understood the training and the process you go through then maybe they would look at it differently. It makes me feel angry as people judge me and don’t understand the effort put into it. Free running is a physical art. How has your involvement with Rise:61 helped you on this journey? I feel much more confident in myself, I believe in myself a lot more and also in the people around me. Over the last few years Rise:61 has supported Tom to set up and run a café for young people and to complete a qualification in free running.